If Nivea Creme were a tech gadget, it’d be the first mobile phone. Remember that? It was so bulky, weighted a little more than a kilo and could only make calls. Yet, it was revolutionary. For the first time ever, you could make and receive calls everywhere you were. No more struggling to find enough coins to make a call at a public booth. Or panicking when your car broke down in the middle of nowhere. Or begging your parents to set up a line in your bedroom so you could talk to your boyfriend without them eagerly overhearing every word. And yet… Fast forward a few years and it was already history. These days, mobile phones are lighter, make calls, take photos and, while they can’t make you coffee yet, they can order it for you. Would you ever go back to that first mobile phone? Thought so. That’s how I feel for Nivea Creme. Groundbreaking for its time. Terribly outdated now. 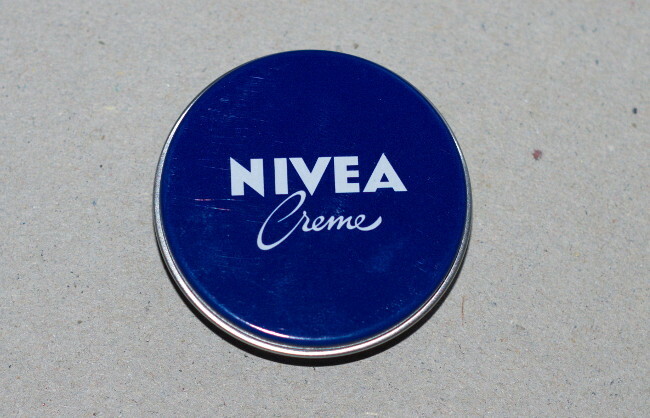 Nivea Creme is probably the oldest beauty product on the market now – the first batch was made in 1911. Back then, lanolin was the only cure for dry skin. If you didn’t like that, hard luck. So when Nivea Creme came along, it was a huge deal. Nivea Creme was the first water in oil emulsion you could buy in a shop. This type of formula is super moisturising: it creates a barrier on the skin that keeps moisture in and germs out. It was just a simple blend of glycerin, paraffin and mineral oil but it was just what the doctor ordered for dry skin. Women went crazy for it. Fast forward a century and Nivea’s Creme’s as popular as ever. It now wears a new dress – the jar packaging is blue instead of yellow – but the cream inside’s just the same. And that’s my problem. 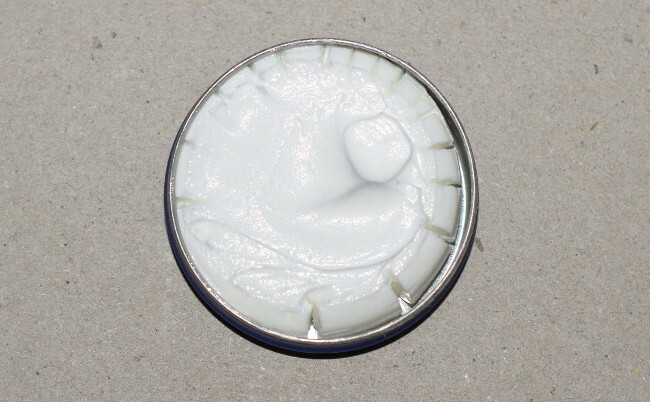 There’s no doubt Nivea Creme works – that’s the secret of its century long success. But what was revolutionary back then doesn’t cut it anymore. We now have better moisturising ingredients, plenty of antioxidants and an army of peptides that can moisturise skin, fight wrinkles and firm skin – why not use them? Paraffinum liquid (a.k.a. mineral oil) and paraffin are both derived from petroleum. But they’re NOT petroleum. Before they’re put into the cream, they undergo a strict purifying process to remove all toxins. So, no, they won’t give you cancer. They won’t clog your pores either. At least not when used alone. These ingredients work by creating a protective barrier on the skin that slows down water loss. If you use any products with comedogenic ingredients underneath, then yes, Nivea Cream will trap them into the skin, increasing your chances of getting pimples. Avoid those and your skin will be fine. The real “problem” with mineral oil and paraffin is that they only moisturise skin. They don’t do anything else. Related: Is Mineral Oil Bad For Skin? It’s all well and good to trap moisture into the skin. But you need to have that moisture in the first place, don’t you? Enter glycerin. It’s a humectant (i.e. moisture magnet) that attracts moisture from the air into the skin. Now that this extra moisture gets trapped into the skin, your skin is plumper, softer and brighter. Related: Why The Heck Is Glycerin In All My Skincare Products? I totally get it why so many of you love Nivea Cream. Whenever I slather this thick cream on my Sahara-like body skin after a shower, everything feels immediately softer and smoother. There aren’t many creams that keep my skin moisturised for the entire day. This does the trick. But, I still prefer to use rich body butters from House Of Gloi and The Body Shop. They use natural oils and butters, like pumpkin and shea, that are just as moisturising and have antioxidant properties to boot. Plus, they’re easy to apply. The German version I use isn’t as thick as the American version, but still, I struggle to spread it evenly all over my skin. But hey, at least it sinks in quickly, drying to a satiny, rather than greasy, finish. You can use Nivea Creme on your face too. I don’t because my skin isn’t as dry there. On the contrary, my oily t-zone is a little oiler than the rest of my face and the cream takes way longer to absorb there. If you want to use it on the face as well, don’t forget to apply an antioxidant serum first. The cream will make your wrinkles LOOK smaller, but it won’t make them smaller or prevent new ones from forming. Would I recommend it? It depends. 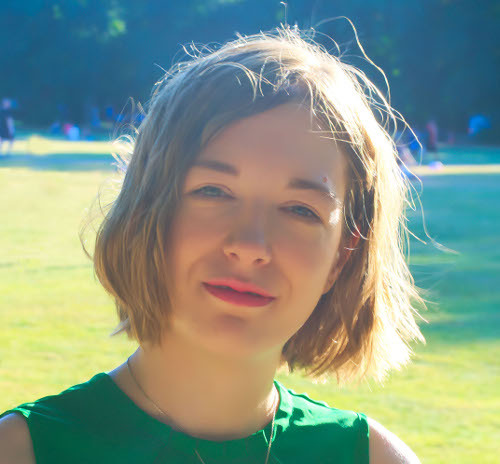 It’s 2018 and a cream should do way more than moisturise skin. But if you’ve already tried lots of moisturisers without success and don’t mind using separate antiaging products, give it a try. Nivea Creme has a rich and moisturizing formula that leaves dry skin soft and smooth for hours. But don't expect anything more than that. Pat or Rub: Which Makes Skincare Products Work Better? Evolution Man Resurfacing Clay Mask, An Effective At-Home Facial For Men? 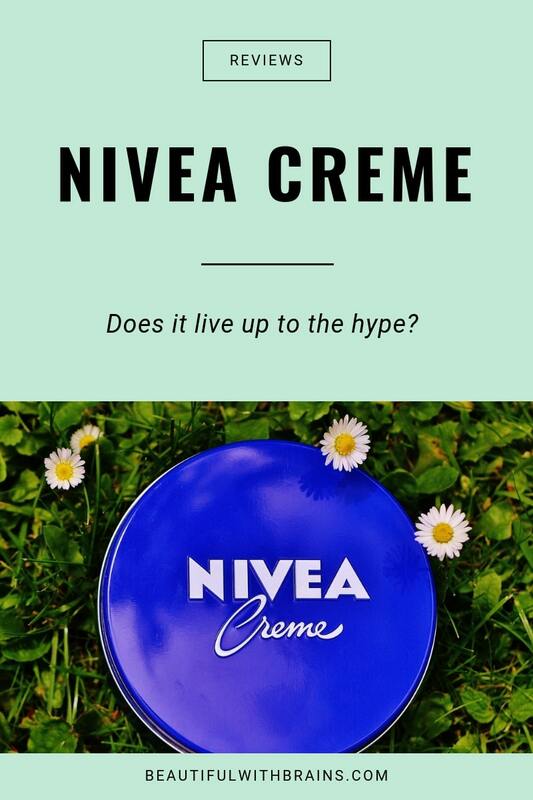 You know, I don’t think I’ve ever tried Nivea Creme, and I’m a little surprised at myself. If I have, it was a LONG time ago. But you’re right, this stuff is a staple. Trisha, this stuff is amazing for dry skin, and so cheap! But I hope they’ll add some antioxidants to the formula soon to make it even more beneficial. Hmm, I might have to try Nivea Creme! I found CeraVe Moisturising Cream online and it was just amaaazing as a body lotion, but it was too expensive to keep ordering. I’m currently using Palmers Cocoa Butter, but I find it’s a little greasy. Lexie, I heard the US version of Nivea Cream is a little greasy too, but the German one isn’t. At least not on dry skin. And it’s very moisturizing. I wish Nivea would update this classic. I remember buying it in Paris when I was in college and loving it. Dermatologists used to say that was all that was necessary, a barrier to keep hydration in. But you are right, times have changed. I’d love to buy this product but I’ve moved on. I didn’t even like the Nivea body lotion for extremely dry skin that I bought last year. Allison, I sometimes use it as a body cream in winter cos it’s very moisturizing, but it is such a shame that’s all it does. There are so many products out there that do that and a lot more. An update is long overdue indeed. I just started using Nivea Creme here in Poland (same as the German formula) about 2 weeks ago. I (very luckily) normally have flawless skin, hardly ever any pimples on my body or face, but since starting to use this cream on my body I’ve noticed small pimples and bumps on my arms, legs, stomach, and chest. I really like how well it moisturizes and how minimal the residue is, but I hate the new problem of having pimples all over my body. I’ll finish the jar and see if my skin gets used to it, but if nothing changes, I’ll have to get back to endlessly searching for a body cream that will actually keep my skin moisturized with only one application per day. Rebekha, sorry you are having problems with this cream. If your skin doesn’t get used to it, you can always try The Body Shop Body Butter. They are very moisturizing! Dove also makes a cream for very dry skin that works really well and is a lot cheaper that TBS butters. Hai Gio. I’m Nadia from Malaysia. Can i apply Nivea Cream on my hair as a serum? Cause my hair is a bit dry , frizzy and little bit curly. Thank you? Nadia, it’s way too rich to use as a serum. I wouldn’t.